Dewitt Scisum Service Details - Toledo, Ohio | The House of Day Funeral Service, Inc. 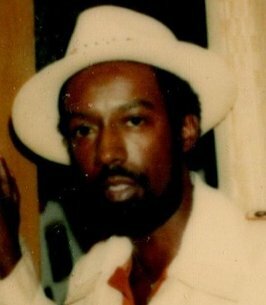 The House of Day Funeral Service, Inc.
— The House of Day Funeral Service, Inc.
Obituary for Dewitt Talmage Scisum Jr.
Dewitt Scisum Jr., was born August 25, 1944 in Toledo, Ohio to Florence and Dewitt Scisum Sr. Dewitt departed this life on October 13, 2018. Dewitt attended MaComber High School where he was an exceptional student and went on to graduate in 1962. As a young man, Dewitt was very curious and ambitious to explore the world at a young age. So Dewitt decided immediately after high school to enlist in the military, with a little push from his mother and his ambition. Dewitt joined America's finest in the United States Air Force. Right after basic training, Dewitt was stationed at McChord Air Force Base in Tacoma, Washington. Not long after arriving in Tacoma, he would meet and marry a lady named Patricia Mobley, where he met at a church service. Dewitt and Patricia would eventually welcome two boys in the world: Timothy and Marlin. Dewitt served four years in the Air Force before deciding to return to his beloved Toledo to begin a new chapter with his young family. Dewitt and Patricia would stay married for 13 years before mutually deciding to separate. Years later Dewitt would marry for the second and last time, a young woman named Dianne Carter, where they soon would welcome Dewitt's third and last child, Eric. Dewitt loved and cherished his three boys. He would move mountains to give them anything they ever needed. Love would eventually be the largest contribution he gave his boys. Dewitt was a hardworking, down to earth, blue collar worker. He worked for 20 years at Kaiser Aluminum, becoming a foreman.Dewitt was a supervisor then a superintendent at Toledo Jeep for over 20 years. Dewitt understood the dignity of work. He understood that a job is much more than a paycheck, that having a job was of course, an opportunity to support his family, but that term "real man" only applied to the working man. Dewitt was an avid dog lover. But no dog in this world stole his heart like his dog, Mitsy, his beloved Chihuahua, who was by his side for over a decade. Dewitt enjoyed a few fast times and leisure interest and those interests lied at the pool table or bowling alley. Dewitt had a strong love for league bowling. He loved the fellowship of bowling in a league and was very fond of his ring and certificate for bowling a 299 one night. That would be one of his prized possessions. Dewitt was preceded in death by his mother, Florence Scisum; brother, Timothy Scisum; two sisters, Jean Vines and Ivalene Quinn. He leaves to cherish his memory, his sons, Timothy, Eric and Marlin Scisum; sister, Rose Spears; six grandchildren, Corey, Brittany, Timitri, Tyshon, Timika, and Tim; one great grandchild, Mila Rose Scisum, numerous cousins, nieces, and nephews. To send flowers to the family of Dewitt Talmage Scisum Jr., please visit our Heartfelt Sympathies Store. We encourage you to share any memorable photos or stories about Dewitt. All tributes placed on and purchased through this memorial website will remain on in perpetuity for future generations. Dewitt was a great man. I had a chance to work with him as an industrial engineer having just moved to Toledo. He was always fun to be around. Rest in Peace Dewitt and my condolences to the family. Proudly Serving the Communities of Lucas County, and Wood County, in Ohio. Also Monroe County Michigan.